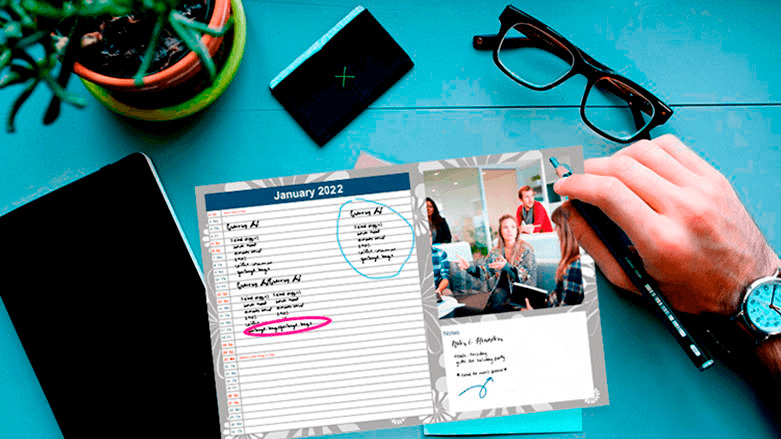 Today calendars are not just pieces of paper with information about regular days and upcoming holidays, they’re also personal organizers where you can combine your personal affairs and professional schedules. 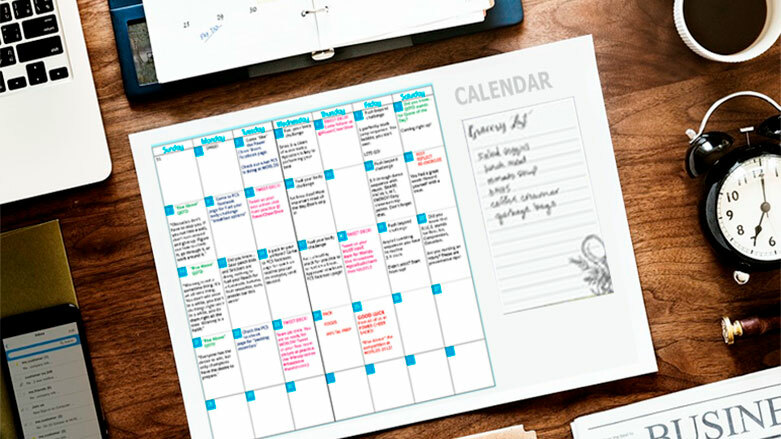 A personalized printable calendar will help you keep track of all the events in your everyday life. 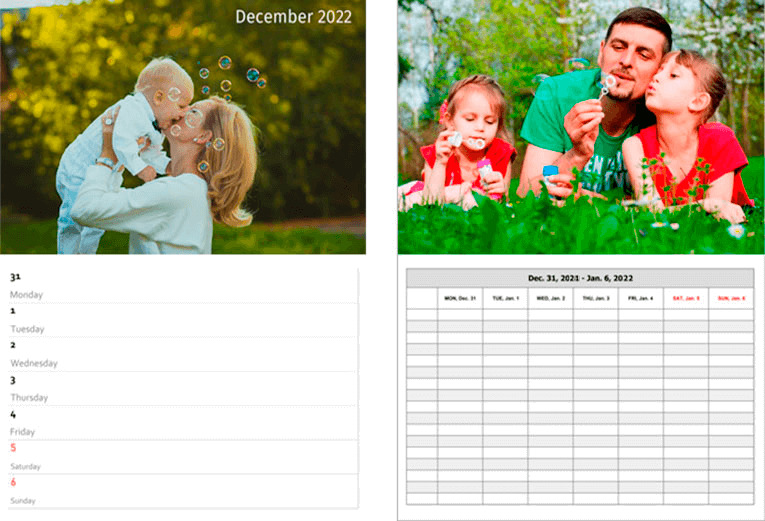 With customized calendar templates available in Photo Calendar Creator, you’ll be able to make your own calendar design for a year, month or even a week in a couple of clicks! 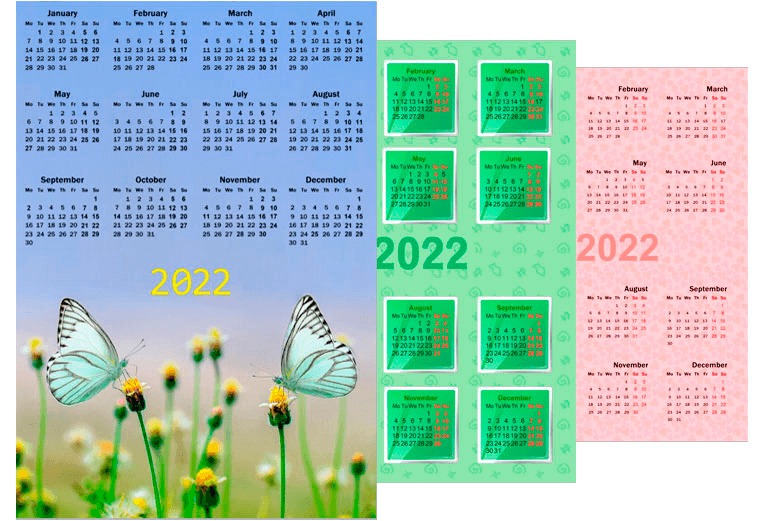 All calendars are different and perform different tasks. 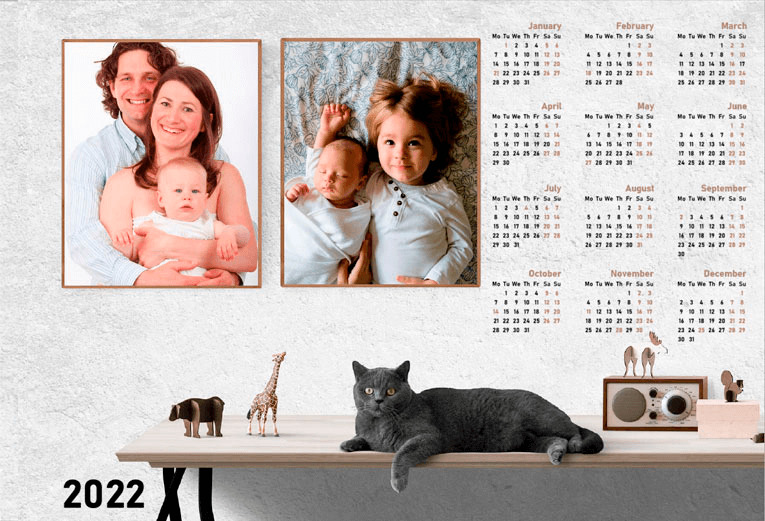 Not only do you have poster calendars, desk calendars and booklet calendars, you can create custom designs that work better for you. 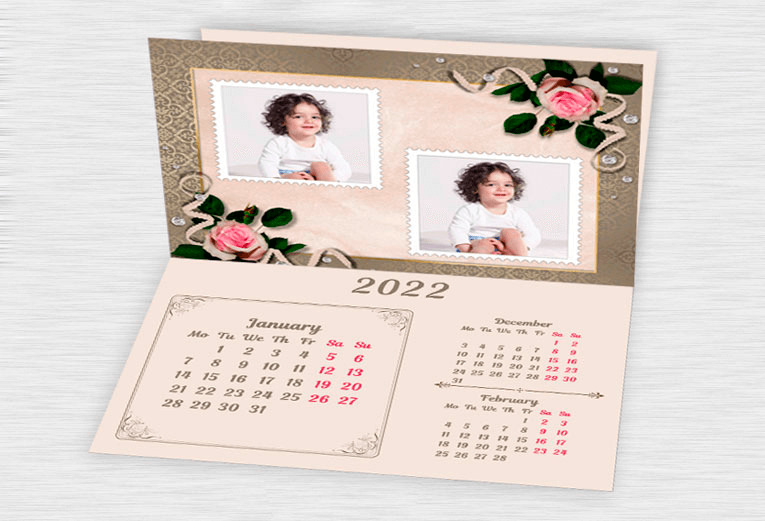 The number of pages also varies, with some calendars holding more than one month per page. 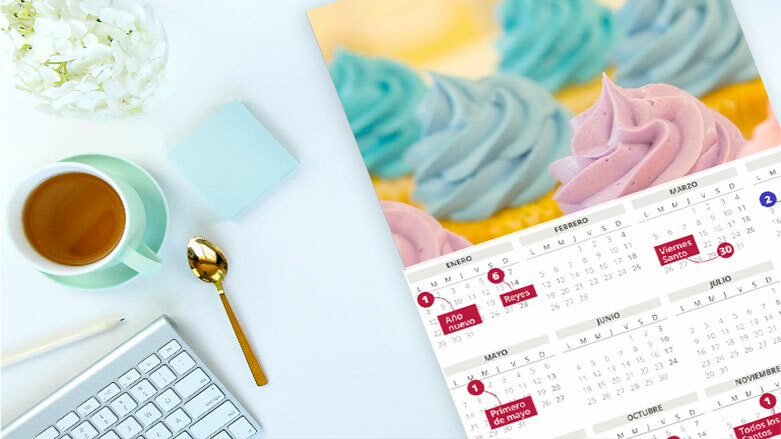 Consider how your custom calendars will be used and you’ll be able to choose the personal calendar template that’s right for you. 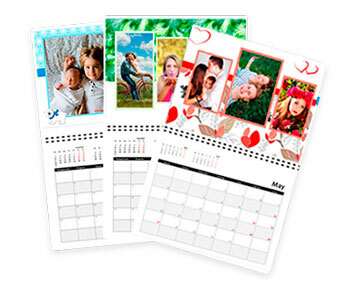 Themed photo calendars can be devoted to all sorts of special interests from family activities to travel, from sports to great inspiration, and from humor to world cuisines. Go for the 'wow' factor with powerful lines and incredible structures. Amaze with striking images of stunning locations or thrilling adventures. 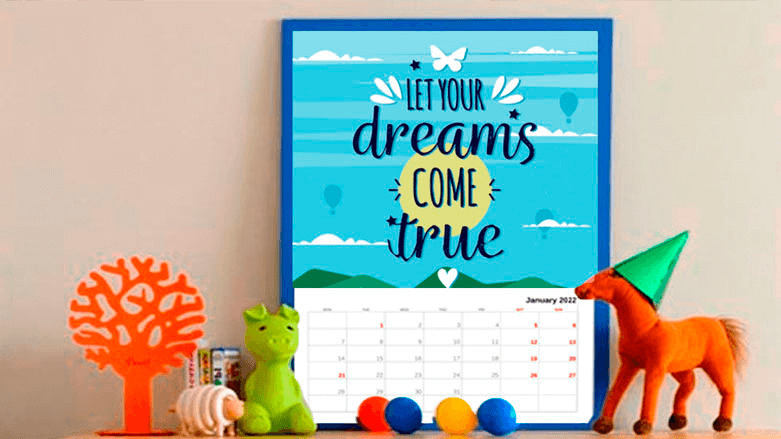 Stir up imagination with aspirational words and pictures. 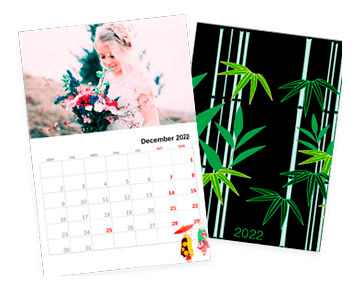 Here are choices of themed calendars for people who like something different or would like to stand out from the crowd. 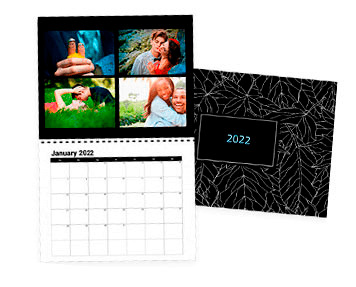 Using one of these photo calendar templates, you can get a time-saving tool, capture some memorable event in your life, create a great personalized gift, or extend the effects of your promotional campaign with an ideal giveaway. 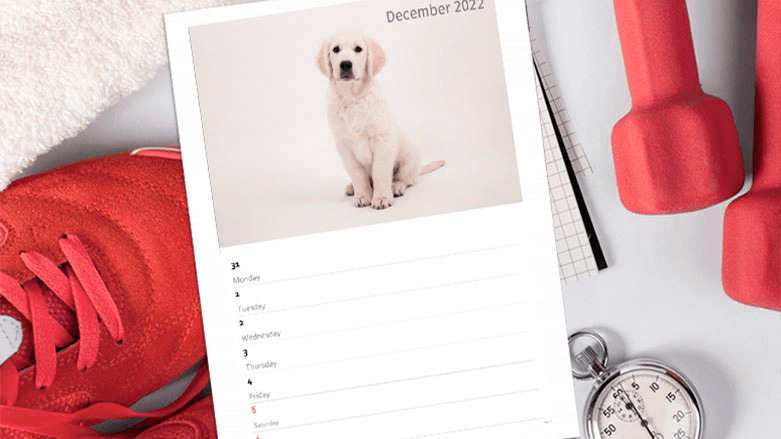 To make a custom calendar template truly yours, mark specific holidays and occasions. 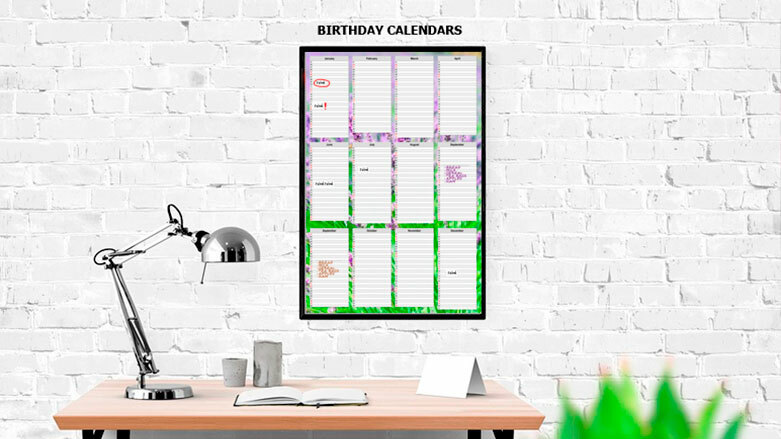 Note down some important information like birthday, anniversary, official appointments or anything else by adding notes and photos right into the cells of your calendar. 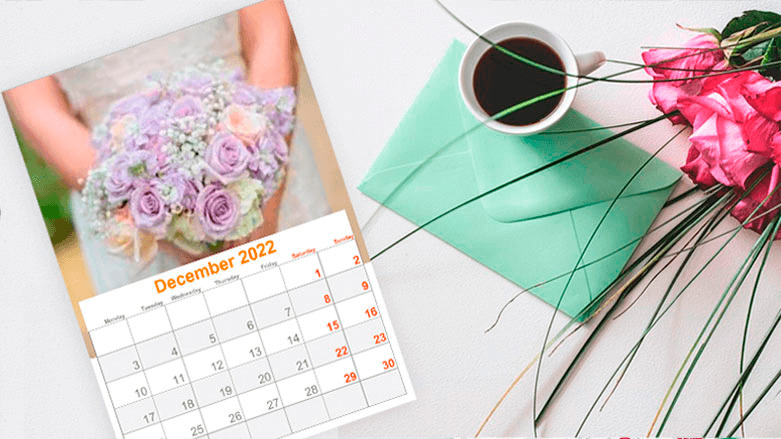 Why You Should Go for Photo Calendar Creator? 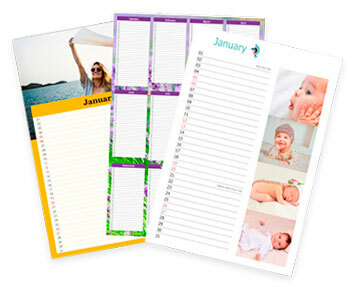 Access to 200+ calendar templates, editing & decoration tools, print layouts, etc. 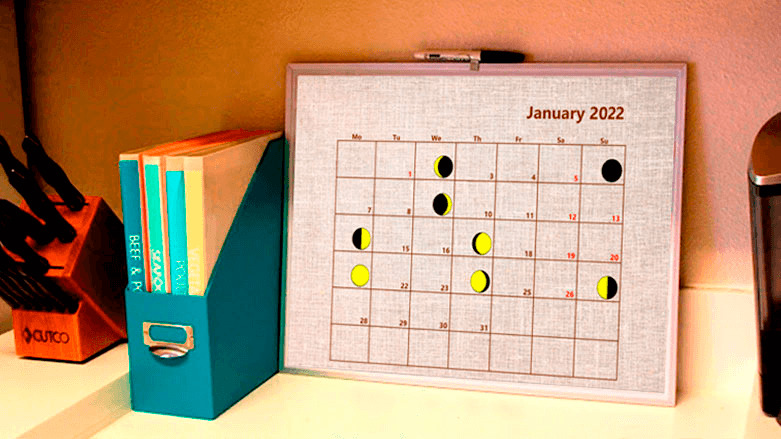 We know for sure that there’s nothing worse than ordering a calendar only to find out too late it has the wrong year. 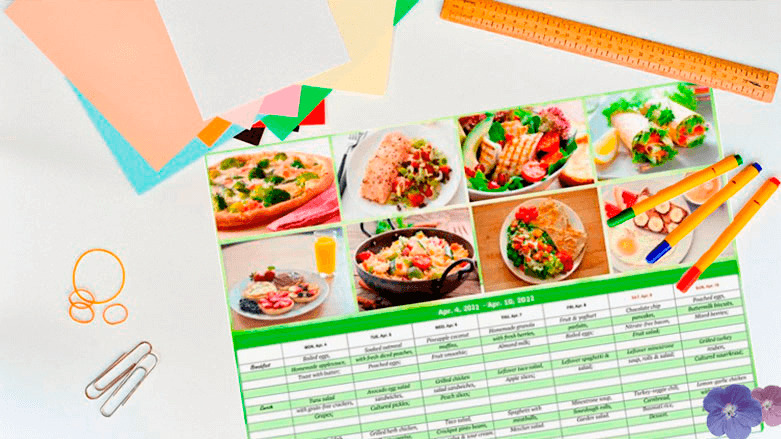 Misaligned pages and artwork can really get you down too. 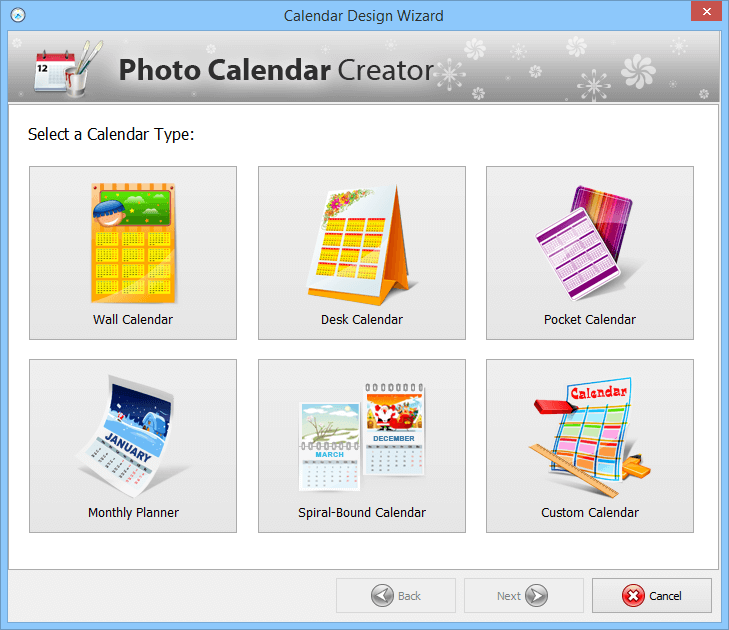 Avoid these issues by downloading Photo Calendar Creator software and making your own planners based on hundreds of custom calendar templates. *Run out of ideas? 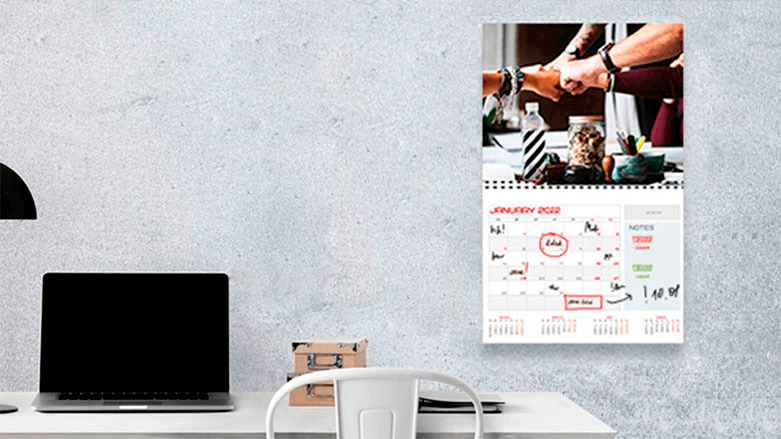 Click here to get inspired. 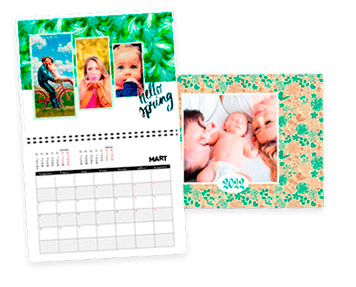 Can’t wait to create your one-of-a-kind calendar but don’t know which to make first? 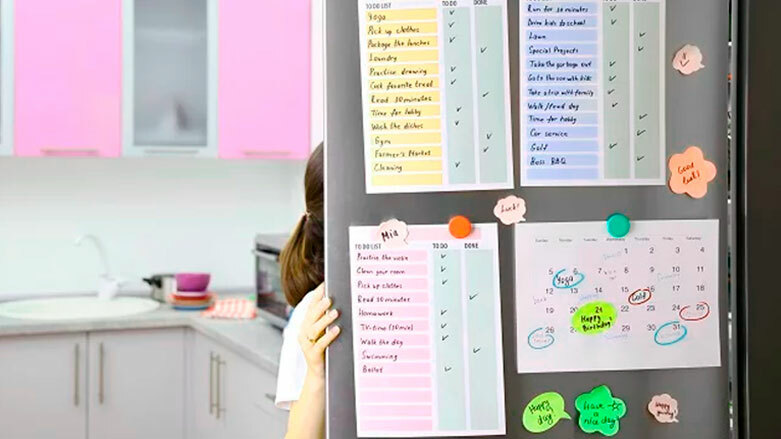 Since you’re already overwhelmed with many choices we’ve compiled a list of helpful planners you can make using custom calendar templates. 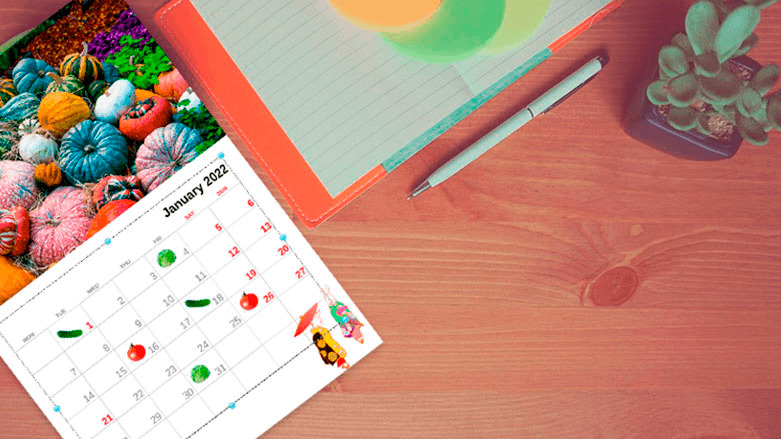 Personal budget calendar for managing your expenses, creating weekly shopping lists and planning big purchases. 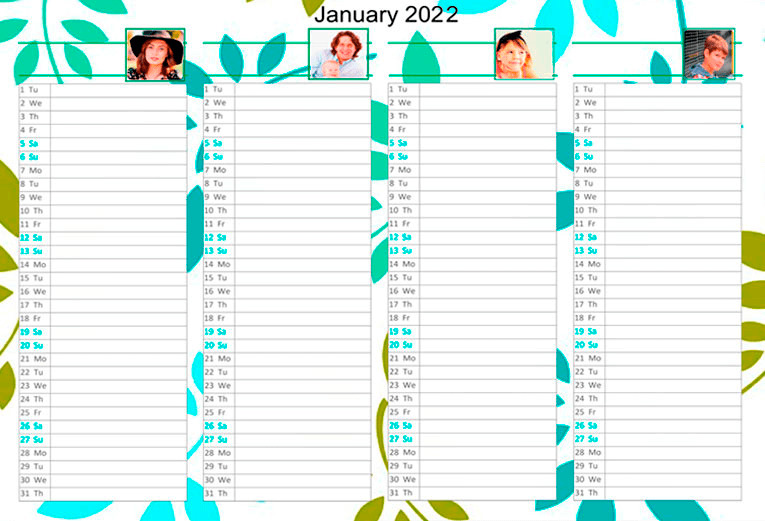 Female beauty calendar to help you take care of your skin and hair, and further improve your good looks. 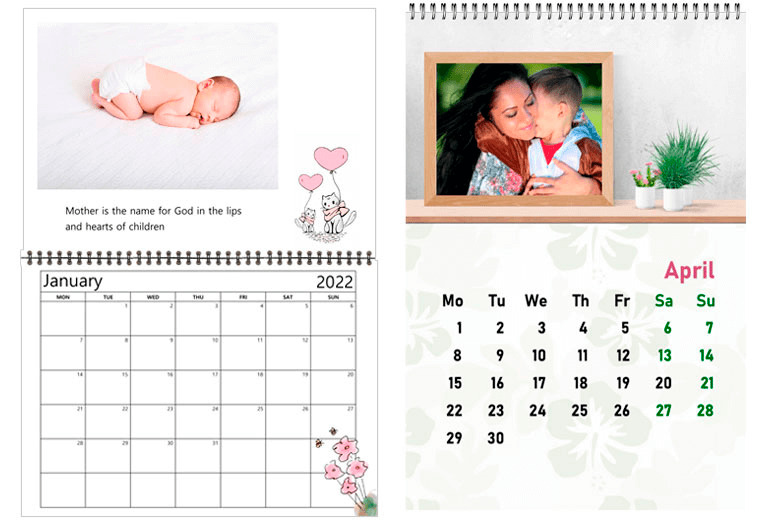 Astrological calendar is a perfect choice for those who are interested in planets and stars and their influence on everyday life. 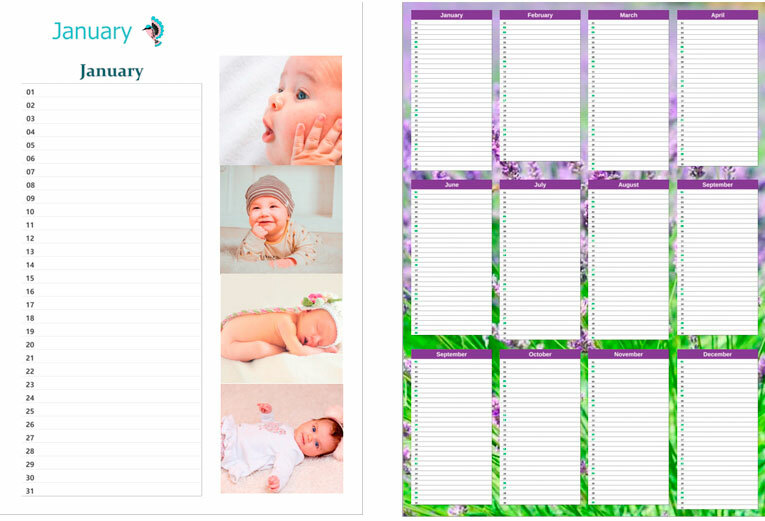 Pregnancy follow-up calendar is an absolute must-have for a future mommy and lets her carefully track all the little changes. 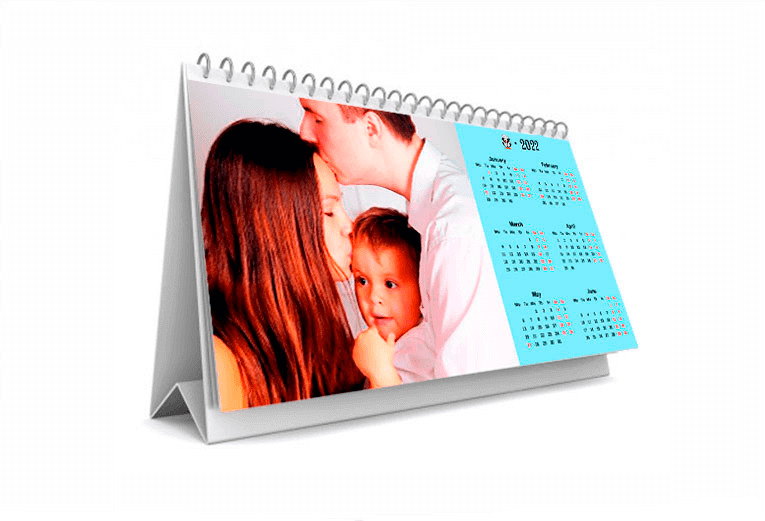 ‘Household chores’ calendar will help fairly distribute domestic responsibilities among all family members. 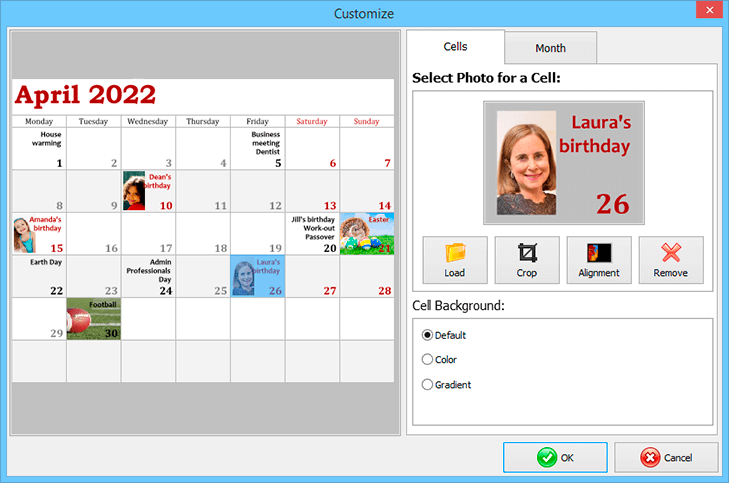 Got the full version of Photo Calendar Creator and want to enjoy all of its creative opportunities? Click here and our tech support will be glad to help you. 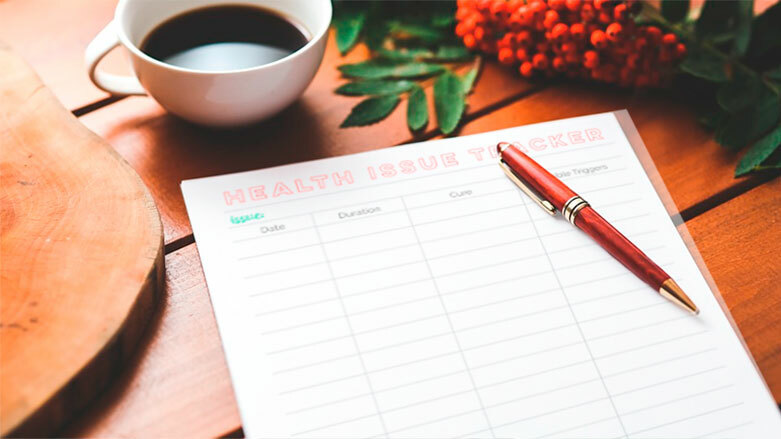 If you have any other questions on the program, its functions or payment options, hit the button below.